Click thumb for full size! 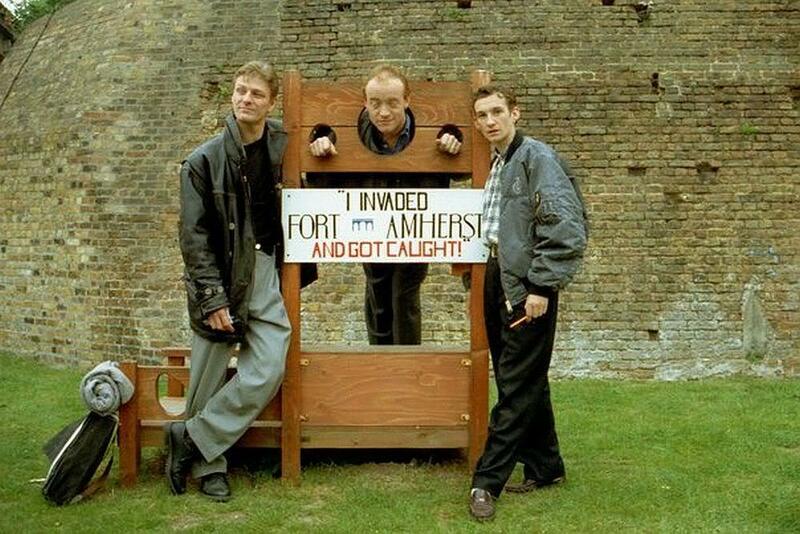 Jason Salkey, Sean Bean and Lyndon Davies at Fort Amherst. Pictures courtesy of Eddie Sampson. Thanks to Sylvene for the heads up ! Bernard Cornwell was inet viewed on Calender this week, and thanks to Southernbelle we have the transcript of what he said about Sean. I think it's going to look great. They filmed in India again. I think most people especially the women are going to be watching for Sean Bean aren't they? I think Sean is wonderful. I think he's absolutely terrific. He originally got the part by accident when the other actor who had the part fell over. He was playing soccer on the beach against the extras who were from the Ukrainian army. He did something dreadful to his leg. who I don't think had actually bothered to audition. But they were stuck. They had to have him. And I can remember the producer calling me and saying the very first shot they did with him they knew he was right. And they were right. He's absolutely wonderful. And when I write Sharpe nowadays, I mean, I see and hear Sean. I do hear his voice very distinctly in my head. So he's become Sharpe. 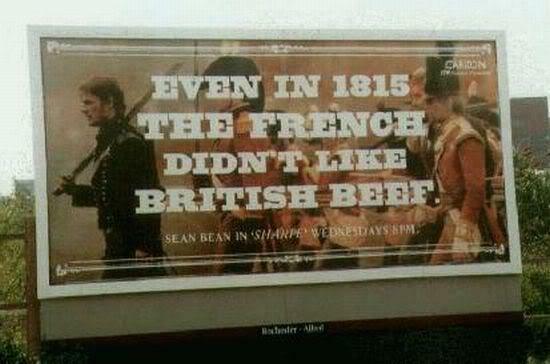 You see Sean on screen and there's that slightly grumpy look, you know, and I think, yeah that's Sharpe which is great. And he loves, I think he really does love playing Sharpe and he thinks that Sharpe is his character. I think there will be more Sharpe. 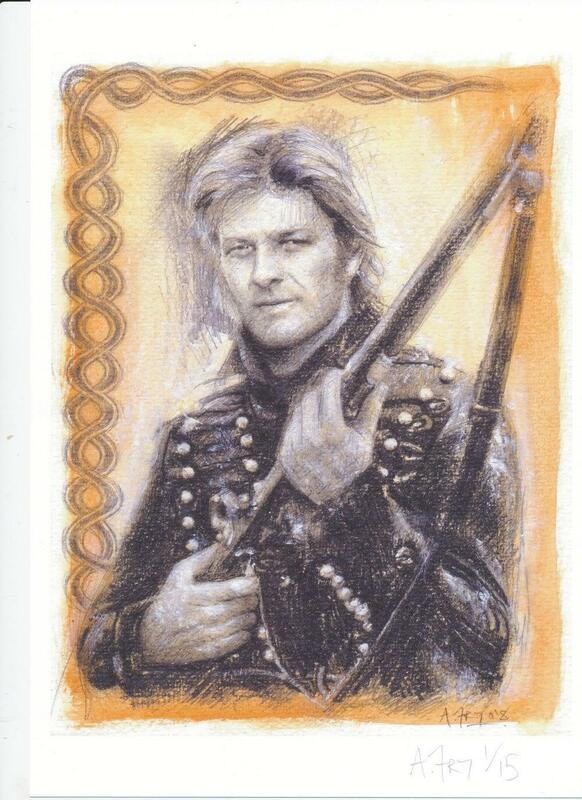 And I hope I'll be writing more Sharpe books and I hope Sean Bean stays looking young enough to play Sharpe. 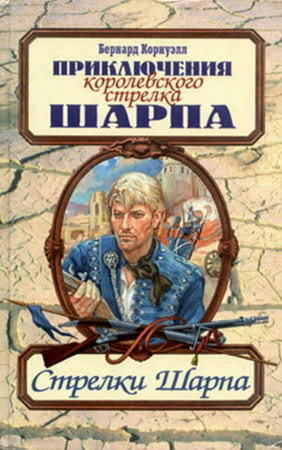 Thanks to Svetlana the covers for the Sharpe books that were up till now released in Russia. 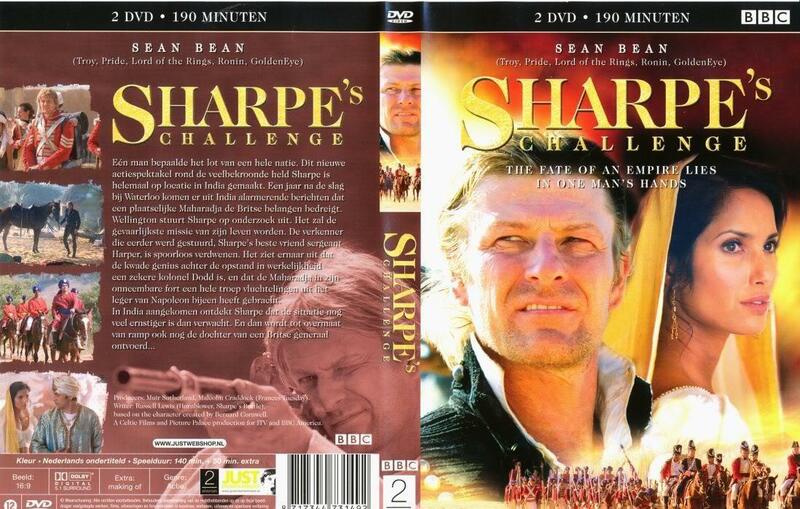 Cover for the Dutch subtitled Sharpe's Challenge, which I discovered only this week. Cartoon on the Blades Campaign for fairness, scanned bu Jeanne ! UK Mirror, June 16 2007. "How lucky can one man be? Me, I mean. 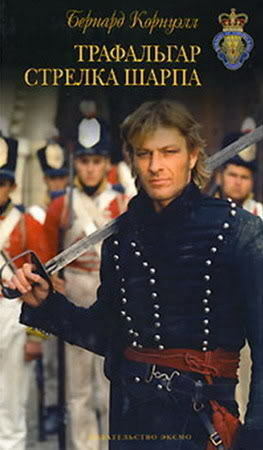 To have Sean Bean step into Sharpe's boots at such short notice and then prove to be the quintessential Sharpe? He was a revelation. For a start, of course, he's a terrific actor, but in many ways his own character is not unlike Sharpe's. There is toughness and anger in Sean, and I suspect a wariness of folk he does not know well. He is, like Sharpe, a formidable man. Folk instinctively treat him with respect, but then, suddenly, the smile will break and you see the core decency. 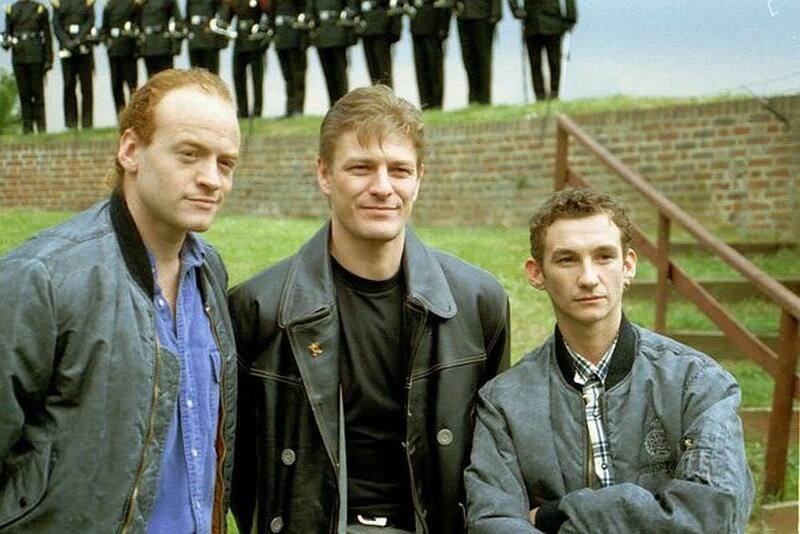 The greatest compliment I can play Sean, other than saying I like him hugely, is that he really did take over Sharpe. I hear Sean's voice when I write Sharpe. It is a wonderful coincidence of actor and character, and I hope Sean feels the same." 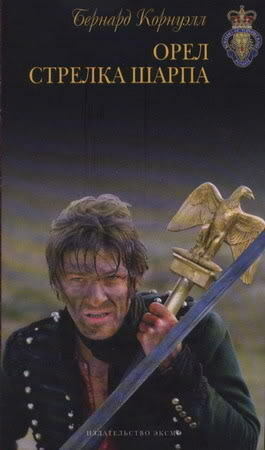 Sean Bean's wiry physique is now so famous in its own right that in the first scene of last night's Sharpe's Revenge (ITV) he was initially shown from behind, just to prove it. "That's him!" we swooned. "That's him!" Seated at a desk in a big white blouse, he could have been anybody. But the particular angle of his bony shoulder, the particular length of his head, his feathery haircut, well, it wasn't anybody else. People sometimes suppose that the attraction of Sharpe is its ripping yarns, or possibly the excellent opportunity it provides to revisit forgotten campaign details of the Napoleonic Wars. But it's not Old Boney that fascinates; it's Young Lanky that packs them in. Single-handedly, this paragon of scrawny British manhood has taken military frogging and restored it to its rightful place in the romantic wardrobe of women's hearts. Tosh with a phenomenal budget, that's Sharpe. If there is a barren hillside in all Europe he has not spectacularly stormed in the cause of this series, it's been awarded a plaque to say so. Cannon to the right of him, cannon to the left of him, dust pluming, swords clanking, bodies succumbing like skittles to the blast. 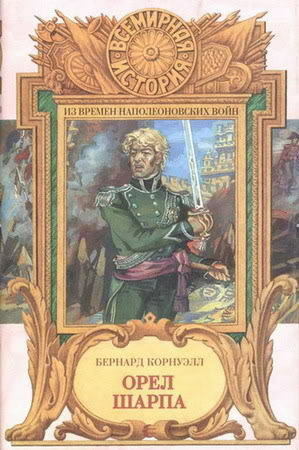 What Sharpe brilliantly achieves is toy-soldier battles under foreign skies; splendidly enthusiastic, and not the slightest bit real. Although the catering truck is never actually glimpsed, the waft of tea-urn and bacon butty forever mixes with the cordite. At any moment in Sharpe, it's all too easy to imagine the battle-stained Bean, sandy of eyebrow and bloody of thigh, pouring HP Sauce on a big plate of hot dinner and casually tapping ash off his lunchtime fag. Last night's story entailed a trumped-up charge against Sharpe which detained him in France. His beloved wife Jane (Abigail Cruttenden) dithered momentarily, then journeyed to London, withdrew Sharpe's fortune, spent it stupidly, and took a lover. Jane's flimsiness of character, it may be noted, sets back the cause of women by 200 years. When Sharpe heard of Jane's perfidy, he took immediate action; breaking the bedroom door of a French widow who'd already had the extraordinary good fortune to nurse his manly thigh. "Beggin' yer pardon ma'am," he growled, "But yer door was locked." All over Britain, women exhaled audibly, and raced to open windows and adjust the thermostat. When, six years ago, I first started this telly-watching job, I reviewed a mild little BBC play called My Kingdom for a Horse by John Godber. 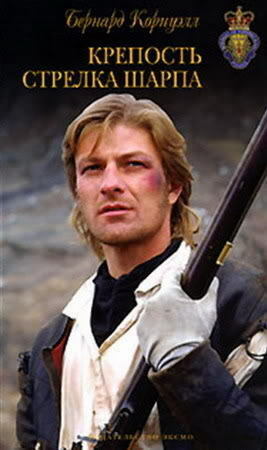 The then unknown Sean Bean, in drab clothes and horrendous specs, played an emotionally inert 31-year-old Yorkshire history teacher called Steve, who at weekends enacted Sealed Knot battles, in the role of lowly pikeman. The BBC should repeat My Kingdom for a Horse; it was a light and lovely film and, as a man of supreme inaction, Bean was great. On the field of battle, Steve's greatest talent was for playing dead; a metaphor for his life in general. If you'd told him he would ever bust down a door (as above) as a matter of thrusting romantic urgency, he would probably have fainted. Since this is my last telly column (I am moving to Sport), I could take a grand overview of telly-I-have-known, but actually, the contrast between Sharpe's Revenge and My Kingdom for a Horse is enough. I had kept the tape, so I watched it again. And though it was made only seven years ago, in terms of production values it was ancient history: grainy, flat, slow, and eerily quiet. On the other hand, in terms of subtlety of plot, characterisation and dialogue, it was vastly superior to Sharpe's Revenge, which operates (like much popular drama) mainly on the level of dumb-show. "You're a damn poor liar, but you're a damn good friend, Patrick Harper," declared Sharpe last night, flashing his teeth in the twilight, and it was by far the most complex sentiment to be expressed over the whole two hours. No, in Sharpe, when they talk about raising standards, they mainly mean hoisting the flag. Otherwise, it's "Mon dieu! C'est Sharpe!" or "To Naples!" and lots of charging uphill ("Aaaaaagh!") in attractive frogging. Sharpe is serious only in so far as it's not funny. The only thing they treat with total reverence is Sean Bean's taut masculinity, a subject to which (oddly) I just keep on returning. That particular cry "To Naples! ", incidentally, is one of the more touching aspects of Sharpe. Last night it was imperative to Sharpe's tribunal that a French witness was trailed to Normandy. "To Normandy!" they cried, and set off at once. At no point did anyone ask for an exact address, or say doomily "Big place, Normandy". Later, they all set off for Naples with the same worrying vagueness, and the same pinpoint success. When you think of the number of times you've managed to miss somebody standing on the same station platform, you have to admit life was simpler in 1814 than we can possibly conceive today. Next week, we get Sharpe's Justice, and the week after, Sharpe's Waterloo; in which (who knows?) perhaps Sharpe will wait confused at the bottom of the Eurostar escalator, and miss his new French girlfriend standing at the top. Anyway, your new telly critic Joe Joseph will report from the sofa in my place, and I can picture him already surrounded by a mounting stack of videotapes, steadily losing all body functions save right-thumb mobility (for working the remote). It's been a privilege to write about television for so long. Thank you for all the letters. Happy viewing. Some "on the set" pictures, thanks to Laura ! 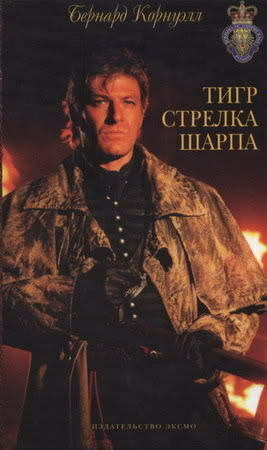 In this picture you see Paul McCann (the actor who would play Richard Sharpe originally) posing as Sharpe. Over the Hills and Far Away is a traditional English song, dating back to at least the early 1700's. The words have changed over the years, as can be seen in the versions below. The tune was provided with another set of lyrics for the Sharpe movies. A version of the lyrics by Georgw Farquhar for his play The Recruiting Officer from 1706. Another version of the song, as used in John Gay's, The Begger's Opera from 1728. Too soon the half year's night would pass. And I would love you all the day. When on my charmer's breast repos'd. I would love you all the day. 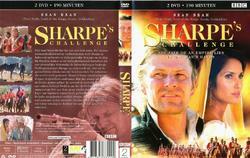 This is the version that is used in the Sharpe (TV series movies), written by John Tams. Note that each verse is from a different movie, as noted at the start of the verse. I'll stand adjudged by what I know. A soldiers life I'll ne'er gainsay. He says, "Bony lad, thee's had thee fun." The Sharpe songvid I made.